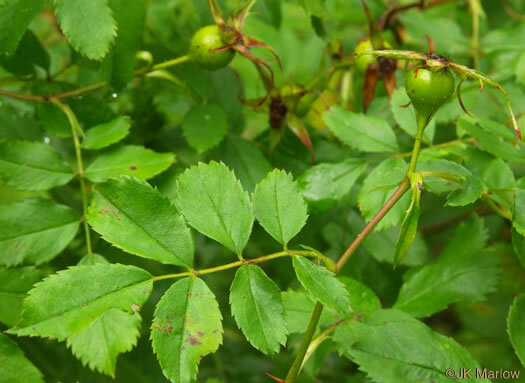 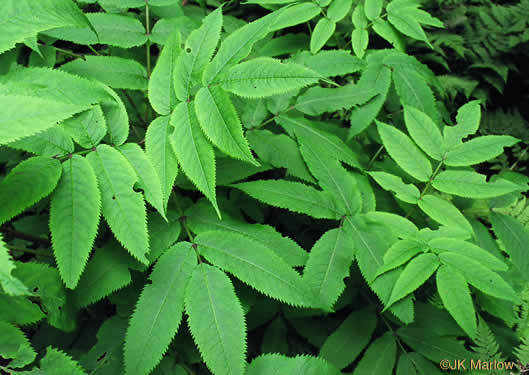 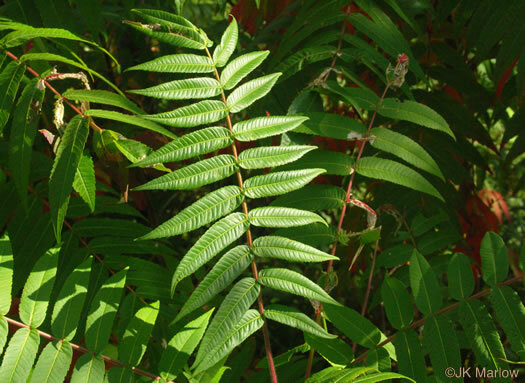 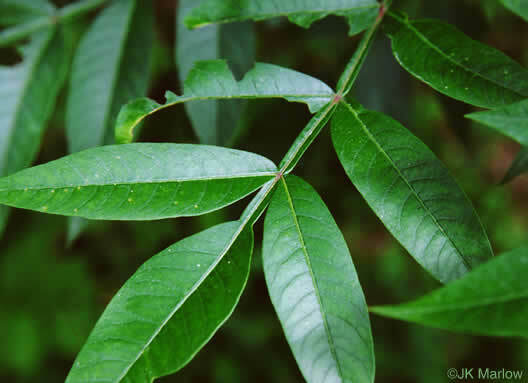 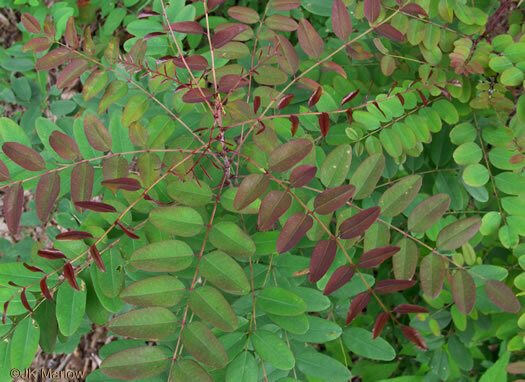 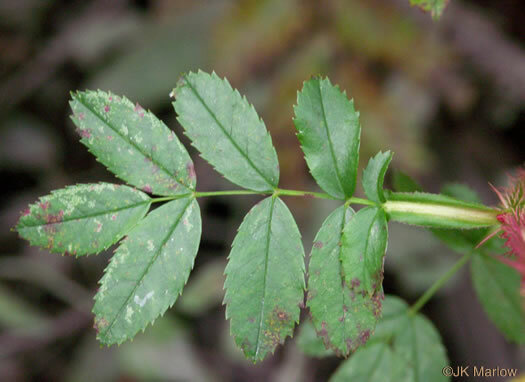 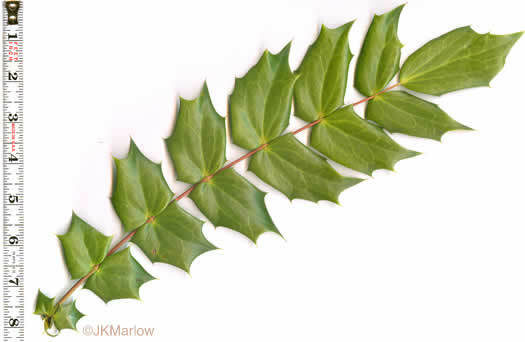 Your search found 25 image(s) of pinnately compound leaves of shrubs. 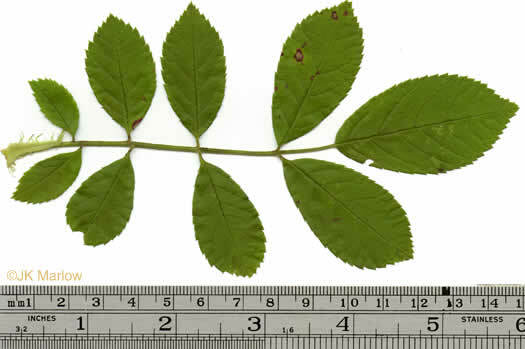 Leaflet blades with 2-7 teeth per side; leaflets very thick and stiff, per Weakley's Flora. 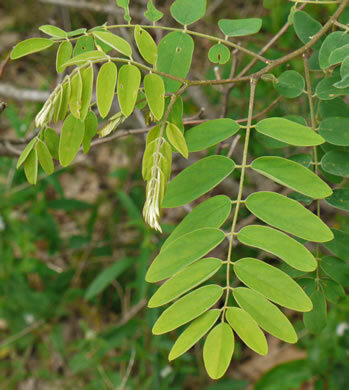 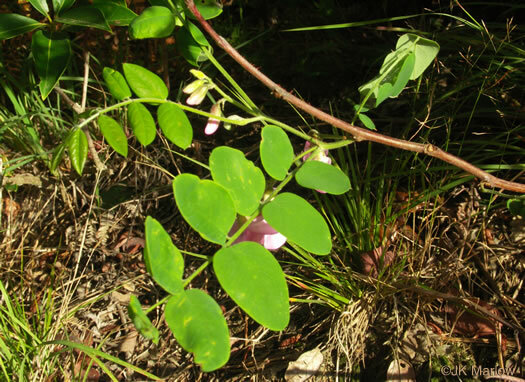 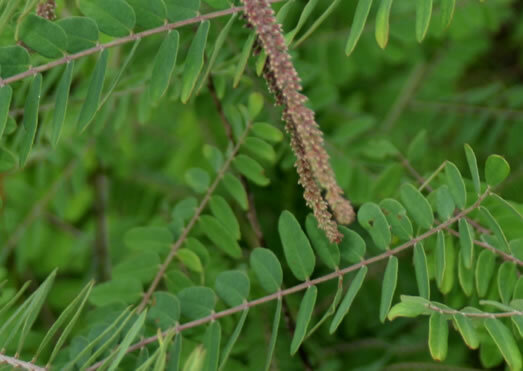 Leaves with 7-9 toothed leaflets. 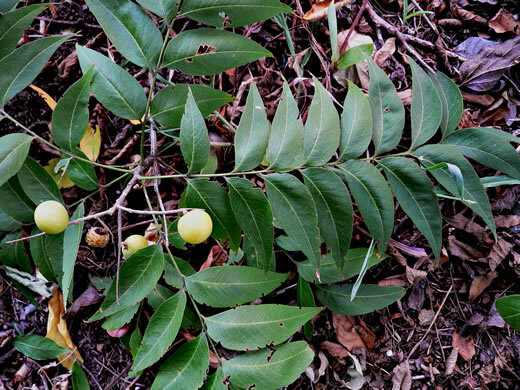 Stipules fringed along margins, per Woody Plants of the Blue Ridge. 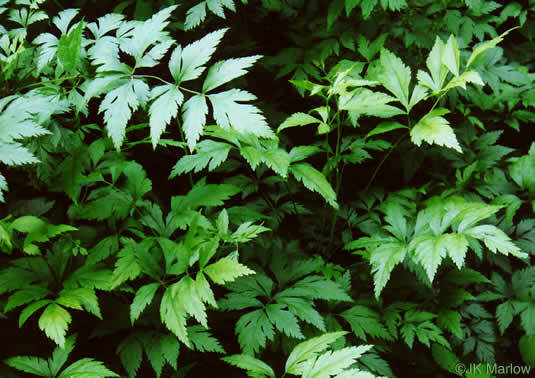 Leaflets 5-9. 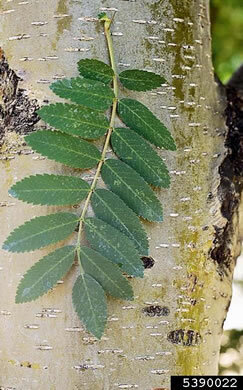 Twigs hairy with strong recurved prickles, per Woody Plants of the Southeastern US: A Winter Guide. 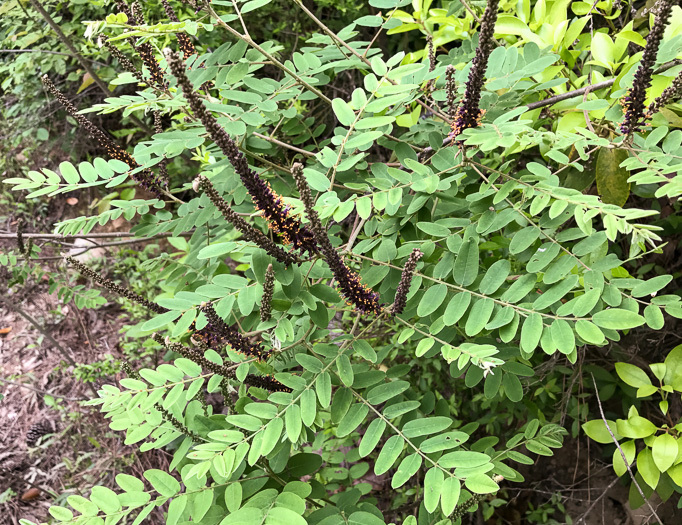 Leaflets mostly 7-9, coarsely toothed. 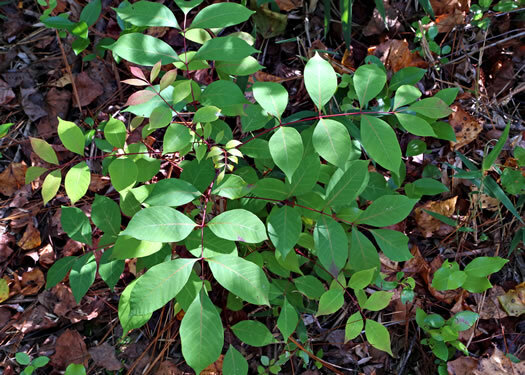 Stipules glandular, per Woody Plants of the Southeastern US: A Winter Guide. 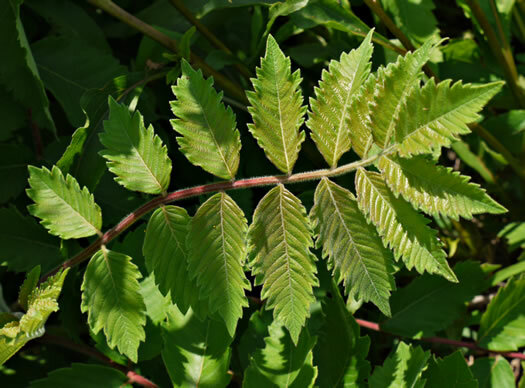 Leaves 4-12", with 10-17 pairs of leaflets, per Atlantic Coastal Plain Wildflowers. 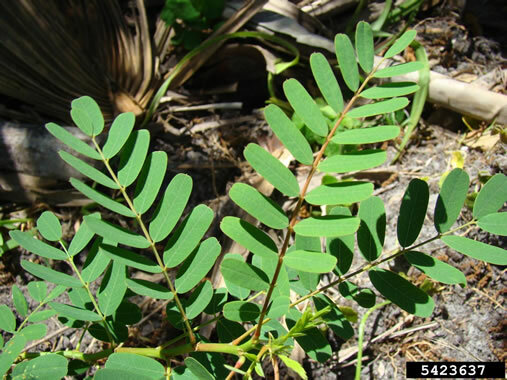 Leaflets usually 13-21, plants never with long, hispid pubescence, per Weakley's Flora. 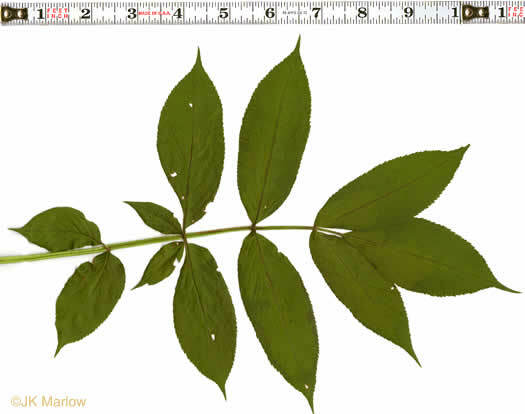 Leaflets relatively narrow [vs. var. 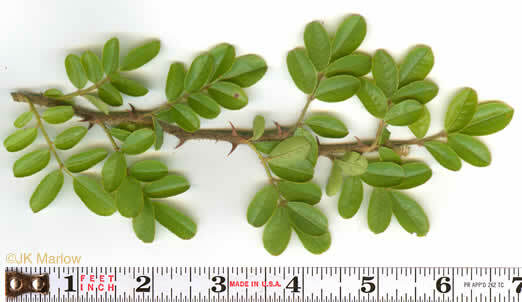 fertilis], mostly 1.8-2.5x long as wide, per Weakley's Flora. 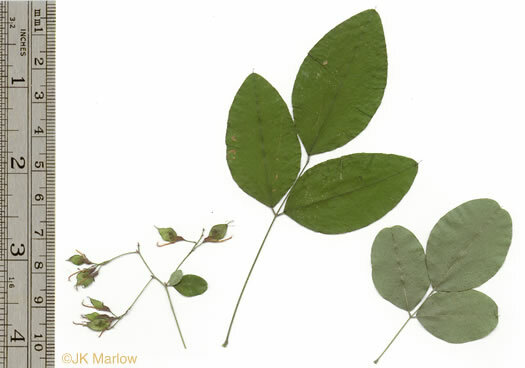 Leaflets 9-13, elliptic to oblong-ovate, 2-4cm long, 1-2cm wide, per Vascular Flora of the Carolinas. 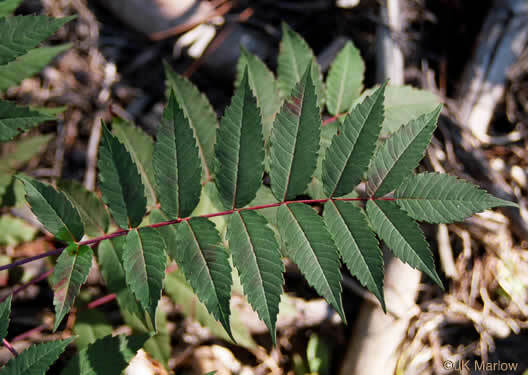 Leaflets 9-13, narrowly elliptic to lanceolate or oblong-lanceolate, per Vascular Flora of the Carolinas. 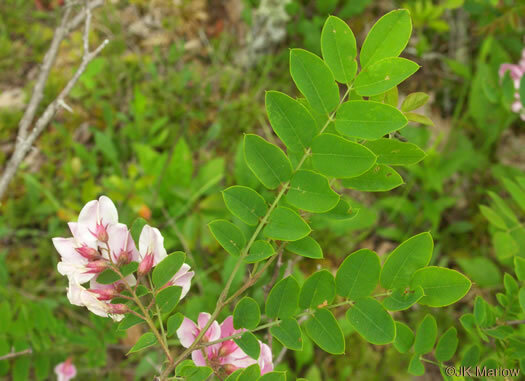 Leaflets sessile, simply or doubly serrate, bases rounded, per Vascular Flora of the Carolinas. 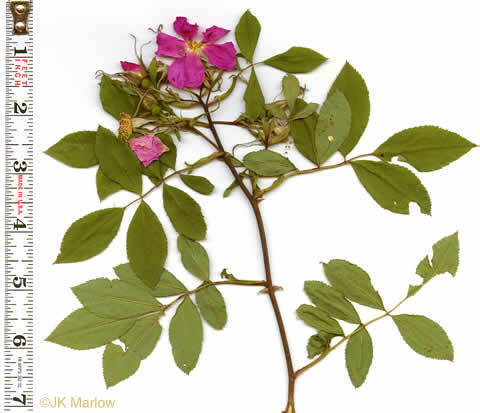 Leaflets occasionally subdivided or lobed, per Woody Plants of the Blue Ridge. 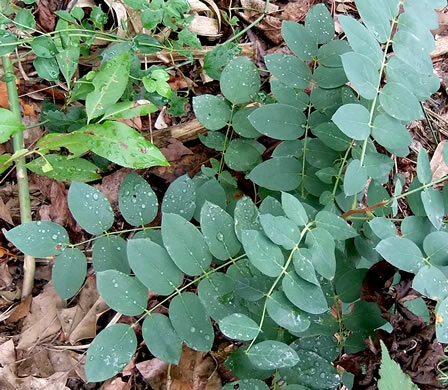 The leaves have 5 to7 coarsely toothed leaflets, per Woody Plants of the Blue Ridge.